The diagnostic neutral beam—one of ITER Tokamak's three neutral beams—is about to enjoy some time in the spotlight. Work begun in 2009 on the civil construction works of the Indian Test Facility in Ahmedabad is now completed: here, the Indian Domestic Agency will install a full-scale test bed for the qualification of all diagnostic neutral beam parameters before installation and operation in ITER. ITER's neutral beam system will consist of two heating neutral beams (HNB) and a diagnostic neutral beam (DNB) that share the same negative ion source technology. The purpose of the diagnostic neutral beam is to determine the level of impurities (helium ash) and a variety of performance parameters such as ion temperature, particle density and velocity by sending a 100 keV probe beam into the ITER plasma. 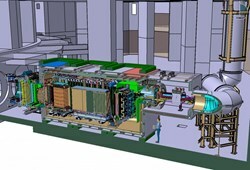 Extensive R&D is underway to resolve the numerous technical challenges of these systems: for the heating neutral beams that are under European and Japanese procurement, the PRIMA test facility in Padua, Italy will house a full-scale prototype of ITER's heating neutral beam injector (MITICA). Here, too, the development of the ITER ion source will be advanced in the SPIDER facility with Indian participation. Historically the ''smaller brother'' of the heating neutral beam, the diagnostic neutral beam is not so small at all (see the man dressed in blue in the image). The injector is 5 m tall and 12 m long; the ion source and accelerator weigh 10 tonnes; the ''shoebox'' and vessel weigh 600 tonnes. "A similar need for research and development applies to the diagnostic neutral beam, however a test facility with DNB-specific objectives was not available," explains Arun Chakraborty, leader and project manager for the diagnostic neutral beam at the Indian Domestic Agency, which is responsible for procurement. "ITER India assessed the need and agreed, in consultation with the ITER Organization, to the configuration of a facility for the full characterization of the diagnostic neutral beam." The Indian Test Facility is a voluntary effort on neutral beam R&D. ITER India has committed to providing the 600 m² facility (plus 400 m² for the high voltage power supplies), the beam line components (neutralizer, residual ion dump, calorimeter), the vessel and auxiliary systems, while the diagnostic neutral beam source for the test bed—the ion source plus accelerator—will be provided by the ITER Organization. 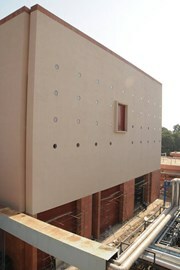 The Indian Test Facility is integrated into a wider landscape of domestic research on neutral beams in India. Indian scientists and engineers have a long-standing collaboration with IPP Garching, home to the BATMAN radio-frequency negative ion source. The ROBIN source (Replica of BATMAN in India) was installed at IPR in Ahmedabad and has been an important training ground for Indian scientists and engineers. ITER India also participates in SPIDER alongside Europe and Japan by providing some hardware and operational personnel. "This additional effort and additional resources allocated to the diagnostic neutral beam by ITER India are greatly appreciated," says Beatrix Schunke, senior technical officer at the ITER Organization and responsible on the ITER side for the diagnostic neutral beam. "The specifications for the diagnostic neutral beam are highly demanding. The Indian Test Facility is a voluntary contribution that shows a great commitment to the success of the ITER diagnostic neutral beam program." Although ITER's heating and diagnostic neutral beam injectors were designed to share many mechanical engineering traits in order to limit the number of overall components, the diagnostic neutral beam is not a perfect replica of the heating neutral beam. The diagnostic neutral beam will operate at a higher level of current (60 A as opposed to 40 A) and the specifications for beam optics—no more than 7 mrad of divergence along a trajectory of 20.67 metres—are also much more stringent. "It's a challenge to get the ion optics right across a large distance," explains Beatrix. "As the beam leaves the accelerator, instead of staying parallel it tends to widen. With the longest transport length of any test bed, the Indian facility will be a unique testing ground for 'far field' optics." 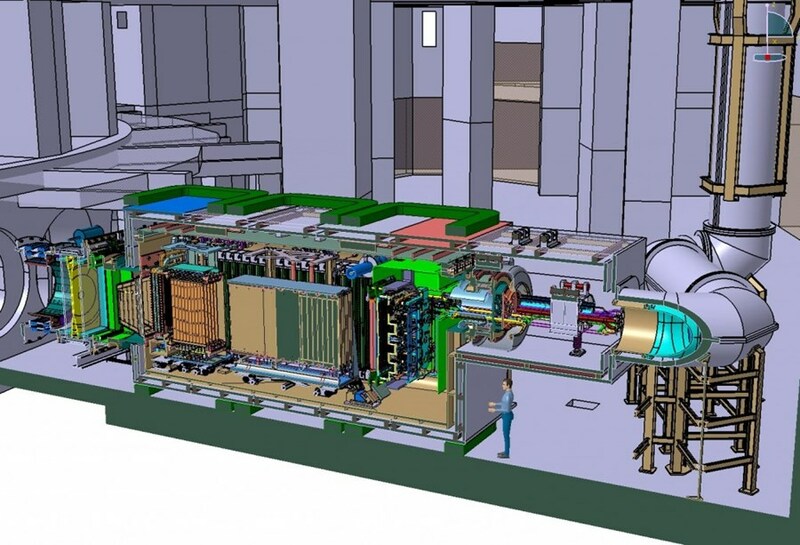 R&D work to characterize a new distributions system for cesium will benefit ITER's three neutral beams, which share the same negative ion source technology. 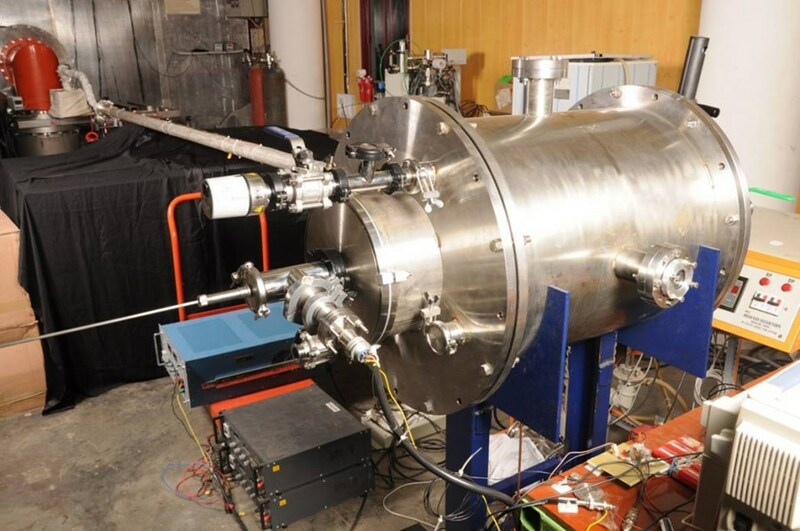 Engineers at the Indian Test Facility will also characterize an alternative design of a distribution system for cesium—a metal used in all negative ion sources. Based on a long distribution tube, the system would allow for cesium-oven replacement without a vacuum break in the diagnostic neutral beam system. "If we are successful, it would result in considerably less downtime for the neutral beam systems," says Arun. The Indian Test Facility will replicate all aspects of ITER's diagnostic neutral beam except remote handling. The civil construction for the facility was completed in August 2011 and the foundations are now in place to receive the beam line. The Indian Domestic Agency is in the process of reviewing the technical specifications of the diagnostic neutral beam components before turning to industry for the procurement of the diagnostic neutral beam components.